If your future includes a move to Huntington Beach, check out Meathead Movers! Our professionally trained student-athlete movers, moving concierge, and princess packers are prepared to get you safely moved into your new Huntington Beach home. 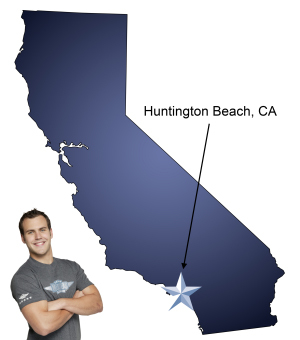 When you make your move to Huntington Beach, be sure to contact Meathead Movers. No matter what type of moving service you need, our student-athlete movers are ready to handle all your moving needs. Moving to Huntington Beach? Consider yourself lucky. It’s hard to beat a beautiful beachfront property overlooking the most striking coastline in the U.S. Known for its perfect beach weather and prime surf, Huntington Beach attracts over 16 million visitors every year. Also referred to as “Surf City,” Huntington Beach is considered the surfing capital of the word and hosts the annual U.S. Open of Surfing. Surfing, not your forte? That’s fine. There are plenty of other recreational activities to keep you busy, including kayaking, rollerblading, or bicycling down one of the gorgeous pathways that run alongside the sand. Looking for a more laid-back activity? Try your hand at free fishing off of Huntington Beach Pier or attend one of the many music festivals in Central Park. Downtown Huntington Beach also features the International Surfing Museum, a spectacular art center, fantastic shopping, and delicious restaurants. With a population exceeding 191,000, Huntington Beach is the largest city in terms of population in Orange County, and with residents like Mark McGwire, Jason Lee, Patrice Wilson, Sandra Bullock, and the rock/metal band Avenge Sevenfold, the area’s strong attraction is clear. In fact, bands such as Reel Big Fish and The Offspring were formed here. Looking for Huntington Beach movers? Look no further. When you trust Meathead Movers to transport your treasured household belongings, you can sit back and relax. Our strong, clean-cut student athletes—from colleges such as nearby Golden West College—are professionally trained and certified, and the movers who load your furniture will be the same movers that will unload your furniture at your new home. So, whether you’re moving to—or within—Huntington Beach, you can rest easy knowing Meathead Movers has you covered. Our experienced Huntington Beach movers specialize in all aspects of moving, starting with packing or storage and including local and long distance moves. We can also be contracted to conduct on-site relocations and any number of commercial moves. You’ll find Meathead Movers ready to transport your precious possessions professionally, promptly, safely, and affordably with no stress. Call our office today for a free, non-obligational quote and experience our revolutionary approach to the moving industry for yourself. Moving to Huntington Beach? Here are some helpful resources. View more Huntington Beach resources. Please see the survey I filled out and gave to your movers. You can call me if you want. 714-679-8312. Everything! The trio of three young men were hardworking, competent, professional and fast. They did a wondrous job. I couldn’t be more pleased with the service. Ben and Brian were awesome. Best movers I’ve ever had! They were super efficient, polite, knowledgeable men. They got my move done super fast and I’d for sure use them again!